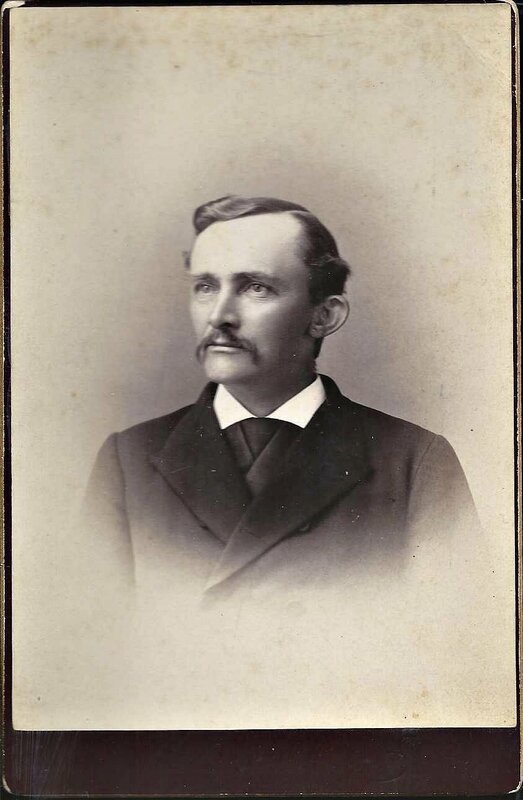 Cabinet photograph of a man identified on the reverse as J. Henry Bliss. The photograph was taken by the A. J. Davison studio of 258 Main Street, Hartford, Connecticut. I'm wondering if he was Rev. Jason Henry Bliss, born in Colchester, Vermont, on 6 September 1844, son of Zenas and Eliza (Chamberlain) Bliss, both Vermont natives. 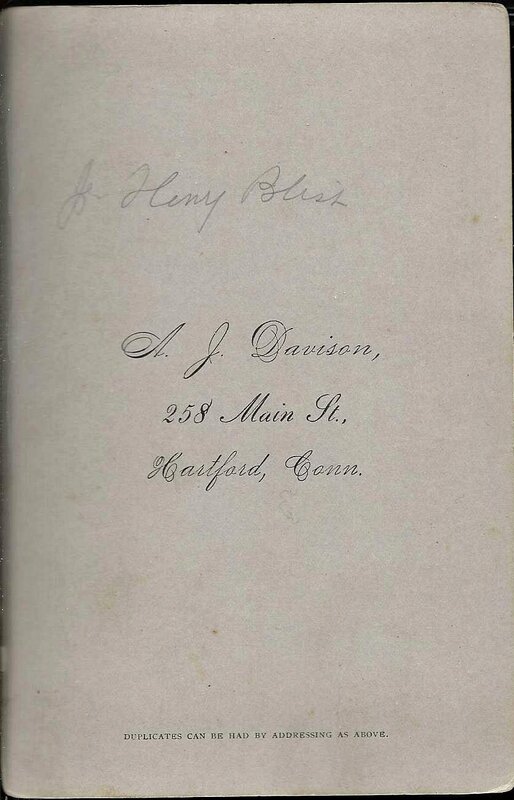 Jason Henry Bliss attended Amherst College and Hartford Theological Institute, the latter from 1866 to 1869. He was ordained at Center Harbor, New Hampshire, on 25 November 1869, then spent some time as pastor at a church at South Hadley, Massachusetts, and then moved to Clinton, Connecticut. Just before his ordination, Rev. Bliss married Florence Amelia Russell on 4 November 1869, at Amherst, Massachusetts. She was born 8 September 1849 at Manchester, Connecticut, daughter of Mervin Tory Russell and Esther (Buckland) Russell. According to one record I saw, Florence was living at Hartford, Connecticut, at the time of her marriage. Rev. and Mrs. Bliss had seven children. 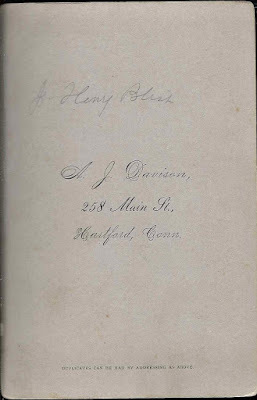 If you have corrections to the information above or if you feel that the man in the photograph is a different J. Henry Bliss, please leave a comment or contact me directly. You are correct, this is J. Henry and the info sounds good. He was my great great grandfather. Thanks for confirming the information and taking the time to comment.